What happens if an External Transfer in RCU Online banking transaction is returned unpaid to RCU? 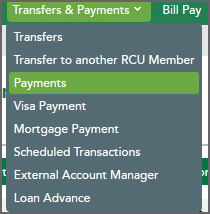 How can I see in RCU Online banking if an External Transfer is set up? Can I add comments to online transfers I have set up in RCU Online banking? 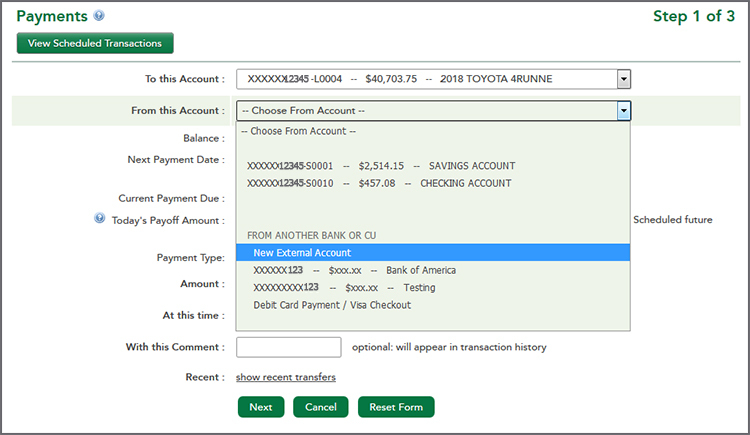 Can I add comments to External Transfers I have set up in RCU Online banking? Will I receive any communication with the External Transfer service in RCU Online banking? 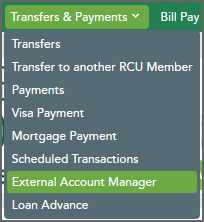 What type of accounts can be accessed via Exteral Transfers at RCU in the RCU Online banking? What type of accounts can be accessed via External Transfers at my other Financial Institution in the RCU Online banking? Are there transfer limits associated with the External Transfer service in RCU Online banking? How can I increase my External Transfers transaction limit in the RCU Online banking? What transactions are eligible for Same Day ACH (SDA)? Why did my ACH withdrawal process earlier than I expected?